Campbell played in 17 games for the Calgary Stampeders in 2017 collecting 37 tackles and two interceptions. The 30-year-old joined the Stampeders in 2016 and played in all of the team’s 18 regular season games in Calgary in his rookie season. 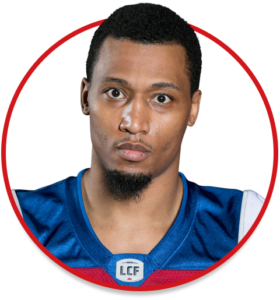 The Aliquippa, PA native posted a career-high 71 defensive tackles and three interceptions, while defending nine passes on his way to being named a CFL All-Star. Prior to joining the CFL, Campbell was drafted in the seventh round of the 2011 NFL Draft by the Tennessee Titans, where he played for three seasons before joining the Jacksonville Jaguars. In 44 career games in the NFL, he made 37 tackles while forcing a fumble.